You have 1151 characters. Don’t forget to add important and relevant keywords in your description to improve your iTunes app page and optimize your SEO. Your app's last version was released on April 16, 2015. It is important to regularly update your app. Best practices recommend to update your app every 4 to 6 weeks. This means fixing reported bugs, improving existing features, launching new features etc. Keep an eye on users' feedback. The next great features may already be asked by many users. 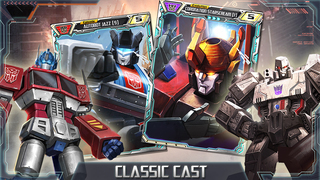 Recruit, construct and battle with over 300 classic TRANSFORMERS characters based on the original cartoon series and reimagined by famous comic book artists. 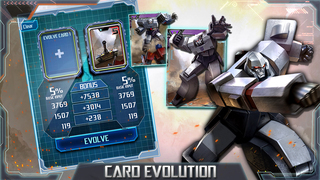 Experience the only TRANSFORMERS mobile game that combines action-packed PVP, a thrilling campaign mode and weekly episodic live events! The war rages on between AUTOBOTS and DECEPTICONS. 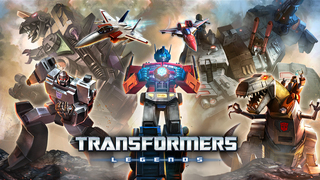 Battle for Earth with TRANSFORMERS characters such as OPTIMUS PRIME, MEGATRON, GRIMLOCK, STARSCREAM, BUMBLEBEE, the DINOBOTS and hundreds more. ROLL OUT! TRANSFORMERS Legends is completely free to play--no purchases are required. The purchase of in-game items can increase the strength of your deck and otherwise accelerate or boost performance. FOLLOW THE BLOG FOR THE LATEST NEWS! TRANSFORMERS (R) and all associated characters are trademarks of Hasbro and are used with permission (c) 2012 Hasbro.